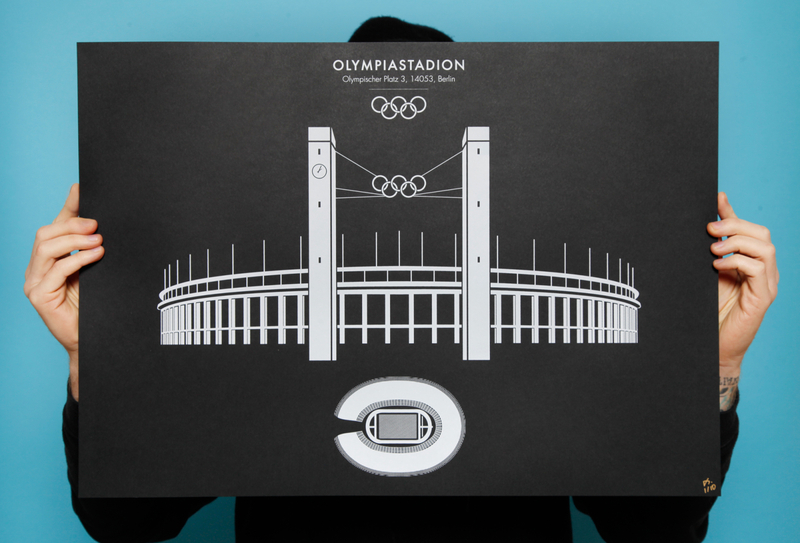 Various famous stadiums from across the world of sport. Screen Printed by hand in Germany on thick black paper. Each one, limited to 20.